Conservatively could assign as positive. May conclude negative if strong evidence showing feature driving a 'no prediction' is present in the same context in known negative examples (without deactivating features). Sarah Nexus – Equivocal prediction with examples which chiefly show dialkyl sulphates as positive but monoalkyl sulphates as negative. The compound is predicted to be equivocal. The compound is in the domain of the model, however no local hypotheses have been identified. A prediction has been made based on the activity of the 8 most similar examples from the training set. Negative – Derek Nexus made a confident negative prediction. Sarah Nexus returned an equivocal prediction using the 8 most similar compounds from its training set. 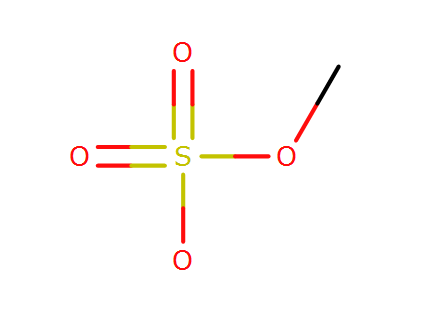 The compounds closest in similarity to the query compound have a negative outcome, so there is reasonable evidence to suggest that methyl sulfate has a negative outcome. An expert would also comment that mechanistically monoalkyl sulphates are not nucleophilic. This is sufficient evidence to provide an overall call of negative.